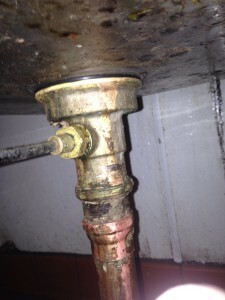 Leaking pipe repairs are fast and cheap with Guaranteed Plumbing High Desert’s trusted Plumber. Call (760)486-7806 24 hours a day 7 days a week for prompt emergency service in the Hesperia, Ca and Victorville areas of the Inland Empire. Lowest prices and best quality are the goal. Complete leaky-pipe repair is top priority with this company. Fixing a leaking pipe or water-line in a home or business with Guaranteed Plumbing is cheap and quality-assured. Fast emergency service is a staple of practice for this local plumber. Getting your water turned back on is important to you, and with all work warrantees you can have great sleep knowing your pipes have been thoroughly handled by the High Desert’s best Plumber. Leaks on sprinklers, leaking water-heaters, leaks in the wall, leaking faucets, leak on showers , slab leaks, hose bib-leak and more. We recommend calling 2 or 3 different plumbing companies for estimates to be sure you are not being ‘swindled’ or scammed. If a plumber or plumbing company insist on charging you for an estimate than you probably should call someone else. Most leaking pipe repairmen will offer free estimates, if they need to charge you just to estimate the problem, than they may live too far from you, or the are inexperienced and the challenge of the job stifles their confidence in being able to make the repair. 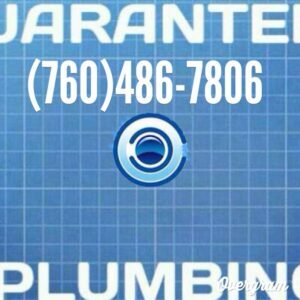 When a pipe bursts in the High Desert only one man can hear it; guaranteed plumbing is owned by the most skilled plumbing contractor without a license. Pin-hole water leaking can be herd and fixed by calling (760)486-7806. Saving money for senior citizens, and anyone for that matter, who lives from Apple Valley to Phelan, CA. Ask about senior discounts. And remember your water bill won’t get any cheaper until you fix that leaking pipe or fixture in your home or business.